Welcome to the KABT new blog segment, “In My Classroom”. This is a segment that will post about every two weeks from a different member. In 250 words or less, share one thing that you are currently doing in your classroom. That’s it. This year, I have completely changed how I teach. An absolute turn-around. The course that I teach is Veterinary Medicine. It is taken by high school juniors and seniors. 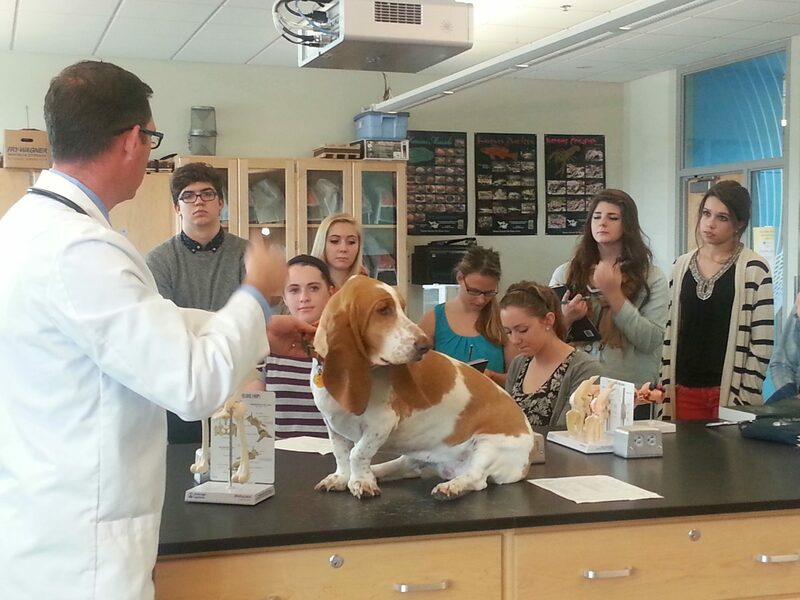 Many of my students know they want to pursue a veterinary or vet tech path. Other students are taking my course to see what is out there; they love animals but are not sure how to weave that love into a future career. The challenge going into the school year was how to provide meaningful experiences for the students which are rich in content and exploration (I am not a veterinarian). My approach follows the model which my school uses – community interactions. Depending on the course you teach, you may not be able to incorporate this model to the full extent, but I believe each classroom could implement a little community interaction for a win-win. With all of our community interactions, I tweet pictures and quips about our experiences. This gets the word out about our business partners AND gives us community exposure! Guest speakers – This is the easiest to implement since it does not require buses, permission slips and budget. I used to be afraid? embarrassed? to call someone up to ask them to come speak to my class, feeling like it would be an imposition. Not anymore! I have found folks are very supportive of education; professionals love sharing their passion with students! I have had veterinarians, vet techs, ranchers, former students who are pre-vet, and even a speaker representing the beef industry. No farther than your own backyard – Of course your school grounds could be a utopia for teaching, but have you looked at the people there? The nurses in my building have been invaluable a teaching my students skills (intramuscular injections, venipuncture, catheterization). Have you have talked to your School Resource Officer about speaking to your class? He/she could lend a wonderful application of biotechnology via crime scene evidence during your unit on DNA. Not-for-profits as a resource – Charitable organizations love to get their message out! Many of them have educational programs already in place. For your class, consider a local food bank during a unit on nutrition or digestion. What about a visit from a cancer philanthropy during your cell unit or a conservation group during your environmental unit? The possibilities are endless! This quarter, my students spend Thursdays at a local horse rescue (http://horsesave.com/). Students are getting HANDS-ON experience working with horses, lending a hand to the owner. 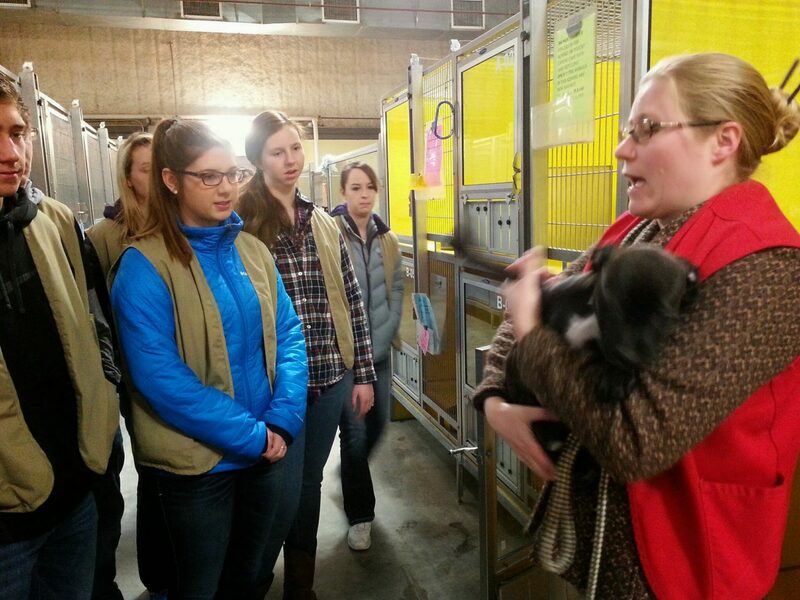 We learned shelter medicine AT the animal shelter (http://www.waysidewaifs.org) and continue to go their regularly. Businesses (small, big and everything in between!) – Look into businesses that sell services or products which have an application to your class. 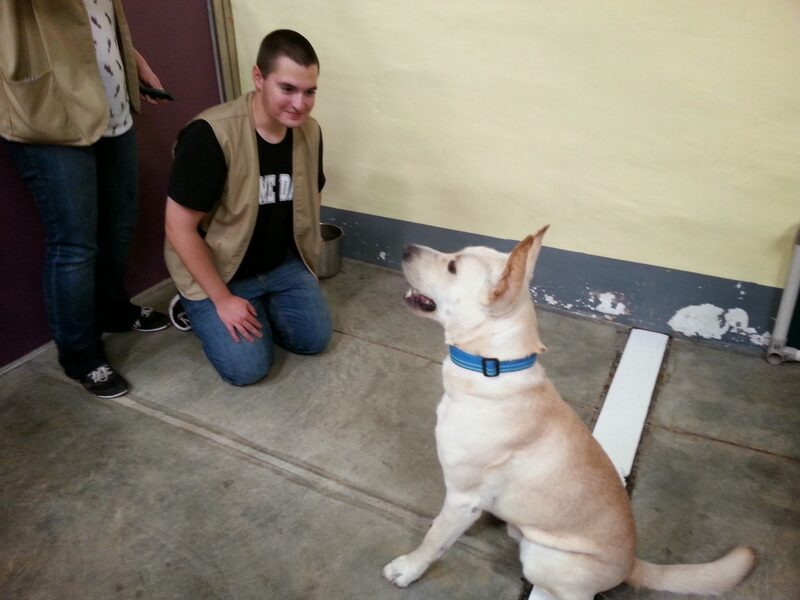 For example, I have had a dog trainer come to my class. We had “BYOD day (bring your own dog)” and had a training session on school grounds. Another example? I have built relationships with two large veterinary pharmaceutical companies in my area. One offers us guest speakers. The students love asking questions about how they got where they are. The other company designed a project for my students to work on. Real world experiences!! Site visits – Transportation (and thus budget) is an issue to taking the students on site visits. All of my students & parents have signed a blanket field trip form allowing them to drive themselves, carpool, or take school transportation. This has greatly simplified the possibility of seeing what professionals do where they do it! 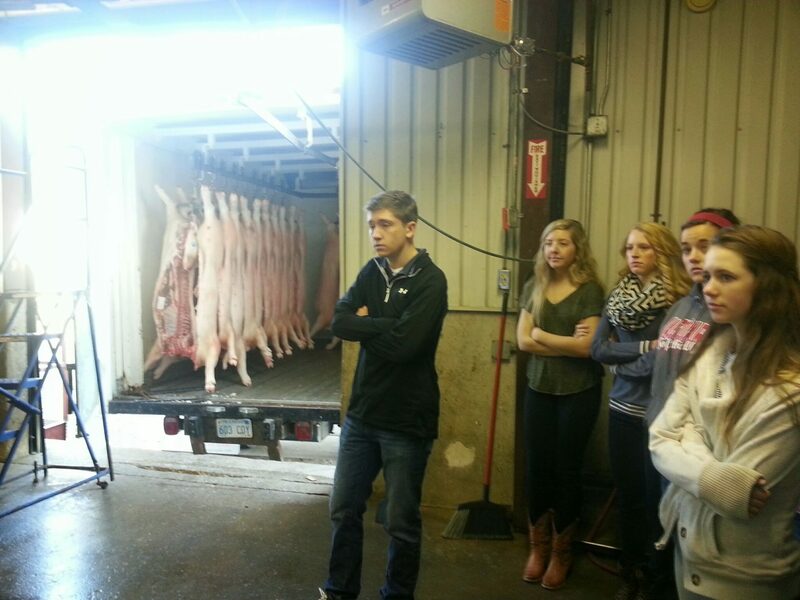 We have gone to private farms, a dairy, various sizes of cattle ranches, the Zoo and a slaughter/processing facility (wow – we saw the lymph nodes which are an important part of the meat inspection process!). Where could you go to punctuate what you are learning in the classroom? Professional societies – Something that you teach will a professional society associated with it. Contact them. See if there are speakers, conferences or field trips your students could attend. You are spreading the word about what they do to a potential market (your students). For example, for years my colleague Eric Kessler has been taking students on the Kansas Herpetological Society field trips (http://www.cnah.org/khs/). 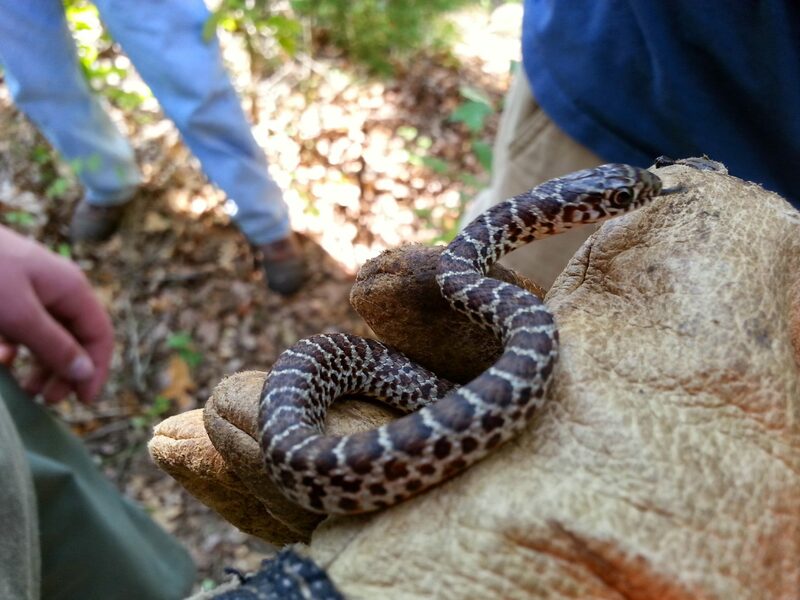 Students walk fields WITH herpetologists, learning from them as they go! I feel that we have the ultimate flipped classroom using this model! We are out of the classroom 3-4 days a week. We SEE/DO the concepts in real-world settings, the return to the classroom to apply and process what we have learned. As we have these experiences, student vocabulary and knowledge increases at a rate faster than if we would have presented the material in the classroom. Students keep a lab notebook where they document and diagram what they learn. I have skills practicals where they are warranted. Students practice writing gracious and meaningful thank you notes following our interactions. I challenge you to add just ONE community interaction this semester! Now a question for you: how else would you hold students accountable for their learning? Do you have other ideas for me from “in YOUR classroom” regarding accountablity in this setting? Every ye ar, the Outstanding Biology Teacher Award (OBTA) program attempts to recognize an outstanding biology educator (grades 7-12 only) in each of the 50 states; Washington, DC; Canada; Puerto Rico; and overseas territories. Candidates for this award do not have to be NABT members, but they must have at least three years of public, private, or parochial school teaching experience. A major portion of the nominee’s career must have been devoted to the teaching of biology/life science, and candidates are judged on their teaching ability and experience, cooperativeness in the school and community, inventiveness, initiative, and student-teacher relationships. OBTA recipients are special guests of Carolina Biology Supply Company at the Honors Luncheon held at the NABT Professional Development Conference, receive gift certificates from Carolina Biological Supply Company, resources from other sponsors, and award certificates and complimentary one-year membership f rom NABT. Our Kansas state chapter of NABT, supports this award each year. A committee of biology/life science teachers from across the state determine the 2015 OBTA. Nominate a colleague by forwarding him/her the attached information OR email the OBTA director, Kelley Tuel (kelley@tuel.us), with his/her contact information. The director will send your nominee the application requirements. 2015 Come to Teacher Training at CDC!At the Fall KABT Conference, I spoke about my AMAZING experience at the CDC last July. 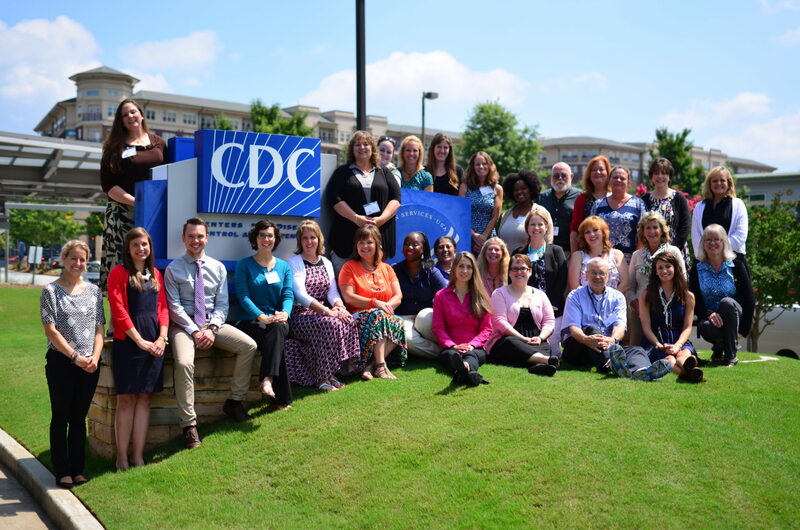 Centers for Disease Control and Prevention (CDC) invites middle- and high-school teachers to attend the 2015 CDC Science Ambassador Workshop. The free* 5-day professional development workshop focuses on training teachers to use examples from public health to illustrate basic math and science principals and concepts in the classroom. The Workskhop will be held from July 20-24 at CDC headquarters in Atlanta, Georgia. Recommendation letter from your school’s principal, department chair, or a colleague. *There is no charge for this workshop but participants are responsible for their own transportation, lodging and meals. If you have any questions about this workshop or any of our other materials or activities, please visit the website at: http://www.cdc.gov/scienceambassador/ and/or to contact us by e-mail at scienceambassador@cdc.gov.2015 Come to Teacher Training at CDC! This summer I had the opportunity to participate in the 2014 CDC Ambassador Training. Twenty teachers from across the US spent a week in Atlanta, GA attending seminars held by CDC scientists. 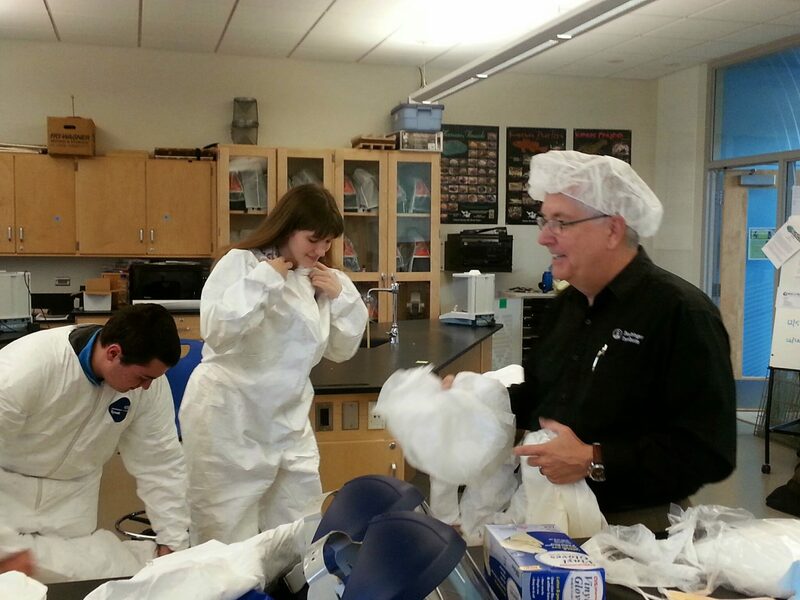 Each day we would tour something – the Spencer Museum, research laboratories, the CDC Library, the CDC campus, etc. This was an amazing chance to see how the CDC works and obtain real-life examples of epidemiology and public health careers to bring back to the classroom. While there, participants are placed on teams with CDC specialists. You work together to create lesson plans which will (after the clearance process) will appear on the CDC website.